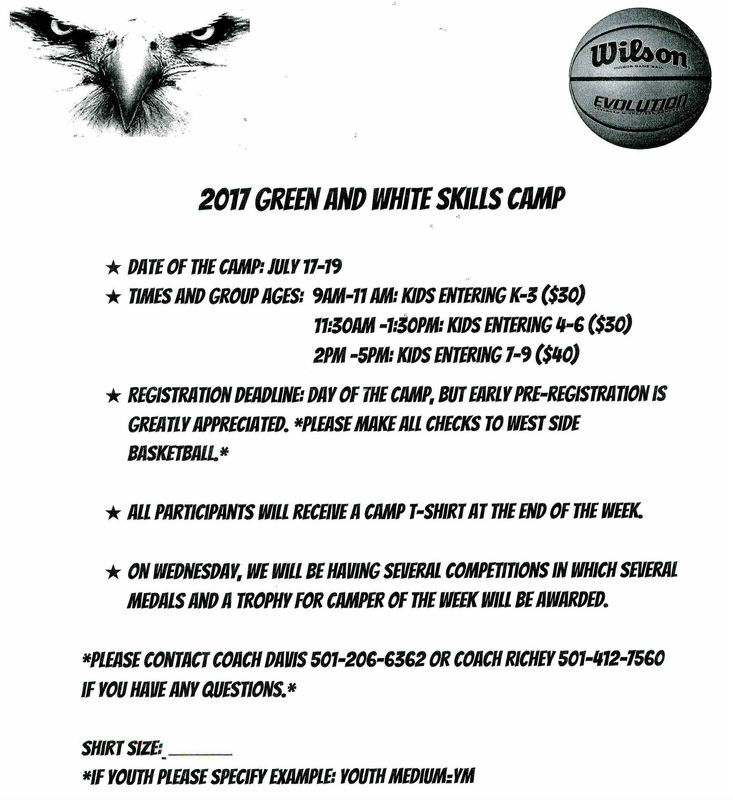 All participants will receive a camp T-shirt at the end of the week. Also on Wednesday there will be several competitions in which medals and a trophy for the Camper of the Week will be awarded. For more information, contact Coach Shane Davis at (501) 206-6362 or Coach Cody Richey at (501) 412-7560.